Fish logos are popular throughout the world. Designs usually vary depending on personal preference, local traditions, cost, or other factors. The most basic fish logos consist of emoticons or crude line art drawings. Illustrations are another choice for fish logos. Fish photographs are another form of media that are used to create business-related or collectible logos. Through graphic design processes, artists combine these and other media to create unique fish artwork for businesses, organizations, fish art collectors, anglers, or anyone that enjoys nature-related art. Fish logos tend to vary by region. 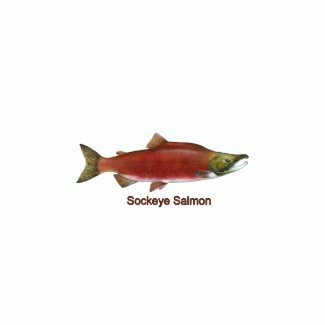 In the Pacific Northwest of North America, salmon artwork dominates fish logos. Designs representing the Gulf Coast region usually include one or more of the more popular species such as speckled trout, gray seatrout, redfish, tarpon, snook, grouper, snapper, yellowfin tuna, wahoo, mahi mahi, or other gamefish. The Mid Atlantic region is also known for its saltwater fishing and recognizes several icons as representing the region. These include red drum, black drum, cobia, seatrout (weakfish), croakers, spot, bluefish, flounder, sea bass, tautog, scup and other inshore species. Offshore fishing is also popular, with several species of tuna, wahoo, dolphinfish (mahi mahi), sharks, billfish, and other pelagic species often displayed in fish logos. New England is home to some of the world’s most productive fishing, including commercial as well as recreational fisheries. Species such as Atlantic cod, pollock, haddock, hake, ling, flounder, Acadian redfish, and others are celebrated in New England-themed artwork. In North America’s interior regions, freshwater species dominate fishing-related logos. By far the most popular species is the largemouth bass, the largest member of the sunfish family. Others include smallmouth bass, sunfish, crappie, yellow perch, white perch, striped bass (landlocked), white bass, musky, pike, pickerel, walleye, sauger, and others. In areas where coldwater streams and lakes are common, members of the trout and char families often featured in fish logos. The rainbow trout is North America’s most familiar trout. Other members of this group of fish include cutthroats, browns, brookies, lake trout, and arctic char. Several members of the salmon, trout, and char family cross freshwater-saltwater boundaries. Some species are fully anadromous, meaning they live in saltwater as adults before returning to freshwater rivers or streams to spawn. Others live their entire lives in freshwater environments. Some species, such as rainbow trout may exhibit either type of behavior. Most rainbows live as adults in freshwater, although some individuals, known as steelhead migrate out to sea during part of their life cycle. Brown trout, brook trout, cutthroat trout, and arctic char are also known to adopt anadromous lifestyles in some areas. Fish logos have a variety of applications in business. They are commonly incorporated into business signs, vehicle graphics, letterhead, business cards, brochures, calendars, or other business related items. Fish logos and other artwork are also popular on accessories such as t shirts, sweatshirts, tank tops, hoodies, golf shirts, hats, coffee mugs, stickers, buttons, mousepads, and other collectible items. Fish logos are typically associated with fishing charter boat operators, fishing guides, tour operators, seafood dealers, retail seafood markets, boat rental providers, and other outdoor-related businesses. Before choosing a business logo, it may be worthwhile to consider a number of factors. Should a single species of fish be chosen to represent a business will multiple species be included? How will fish or other design elements be positioned within the logo? Do local or regional traditions affect the design? What art style is preferred (line art, illustration, photography, digital)? How complex should the design be? Will the logo incorporate text? What colors will dominate the logo? What other elements will need to be incorporated into the logo? What types of products will the logo be applied to? How many of each product will be required and how often will additional products be needed? Does the business need to ship products or accessories to associates? After needs are clarified, a basic logo can be purchased or a graphic artist can be commissioned to create custom design. To view an extensive collection of fish logos, photography, and other artwork, visit by Fish Fishing Seafood online store. For more outdoor and wildlife-themed logos, visit North America online store. Logos in these online stores are fully customizable, which allows business owners to select an existing design and add their own custom text and immediately purchase business accessories. For more information concerning business logos, custom artwork, photostock, freelance writing, and computer consulting, contact Daybreak Web Designs LLC.